Traveling on a budget will vary greatly between countries. If you’re traveling to Ecuador, you’ve struck gold, quite literally. As one of the top budget destinations in Latin America, you get a combination of incredible natural wonders, delicious food, and adrenaline-packed activities, all for a very reasonable price. In the following blog, we’ll give you more information about Ecuador prices and provide tips on how to make the most of your money while visiting Ecuador. You probably already know this, but Ecuador uses the dollar. Life just got easier. Forget about having to change money at the airport or having to do on-the-spot currency conversions. In Ecuador USD 1 = USD 1. So far, so good. BUT, Ecuador is notorious for its lack of small change. When you travel to Ecuador, don’t bring bills any larger than $20. We’re not exaggerating. Few business will take $50, let alone $100, even in the major cities. You’re truly much better off coming with only $10s, $20s and a pocketful of quarters. Try to avoid smaller ATMs at gas stations or pharmacies and instead get your cash from an ATM located at the bank itself. A note about carrying cash around: don’t. Carry the minimum amount of cash around possible and avoid taking your credit card unless absolutely necessary. Pickpocketing is quite common here and losing your credit card would be a huge bummer during your trip! Regardless, it’s cheap enough in Ecuador that you probably don’t need to have more than $30 on you at all times. It can sometimes take aaaaaages to pay by credit card, due to slow or faulty internet connections — especially in more rural areas. If you want to leave quick and painlessly, pain in cash! As in many other Latin American countries, negotiating prices is acceptable depending on the setting. At street markets, artesanal markets and with street vendors, you can try to lower prices, especially if you’re buying multiple objects. Before doing so, make sure you’ve compared prices between different stalls, which will give you a better idea about whether or not you’re being ripped off. However, be careful not to offend people! If an object is already being sold at a dollar, chances are you can’t lower the price very much. And at fruit and vegetable markets, it’s more common to ask for la yapa (a couple of extra granadillas or apples) than haggle for a dollar or two. In stores, restaurants and other more formal establishments, haggling is not as common and sometimes downright unacceptable. Vendors will simply say no and if you insist, you might be told to leave. Generally speaking, Ecuador has very cheap prices and haggling makes the most sense when you know how much objects should cost. Accommodation is quite cheap in Ecuador, if you know where to look. In cities, dorms start as cheap as $6 and may cost up to $14 a night. Private rooms get a little bit pricier and hover around $20, more or less. There isn’t often much of a difference between a hostel (“hostal” in Spanish, sometimes also called “pensión”) and a hotel in Ecuador, the main difference being that hostels are geared more toward backpackers and a younger demographic, overall. That said, the price difference isn’t very notable, unless you’re considering a fancy hotel. You’ll find a number of Airbnb options in and around the larger cities, and in the more popular destinations around the country. When you’re looking for accommodation for your trip, always remember to check Airbnb since prices are often competitive with cheap hostel prices. Need some help choosing the best hostel? Read this blog with Ecuador-specific tips. As a traveler in Ecuador, if you don’t take advantage of the cheap lunch spots that are widely available, you’ll burn through your cash fairly quickly. Ecuadorians will usually dine out for breakfast and lunch. In fact, it’s so common that there are small restaurants on nearly every corner in the Old Town in Quito, for instance, and prices vary from $2 to $4. However, if you stray from the lunch menu and want to choose from the “regular” menu, or if you prefer to eat at a more tourist/traveler oriented locale, prices will quickly increase and you might be looking at $6-$10 per meal. Are you vegan or vegetarian? You’ll find a list of budget vegan and vegetarian restaurants in our Quito on a budget guide. Since Ecuadorians usually eat their dinner at home, dinner is probably the most expensive meal. If eating out, expect to pay around $6-$14 per main course, oftentimes more at a higher-end restaurant, even up to $20 per dish. One way to save money is to cook your own dinners — that is, if you have access to a kitchen. Vegetables and legumes are extremely cheap and small neighborhood stores often sell the basics for a simple meal, such as onions, peppers, tomatoes, rice, pasta, potatoes, tuna etc. For alcoholic beverages, stick to local brands like Pilsener and Club, which cost a little over $1 for 1 liter bottles. You can find these at nearly any little corner shop. If you prefer artesanal beers, there are a number of local brands, but these will cost you between $3 to $7. Imported liquor is very expensive here, but you get cheap aguardiente or Zhumir vodka at the supermarket or liquor stores (and some small shops) around the city. Good luck with that hangover, though! 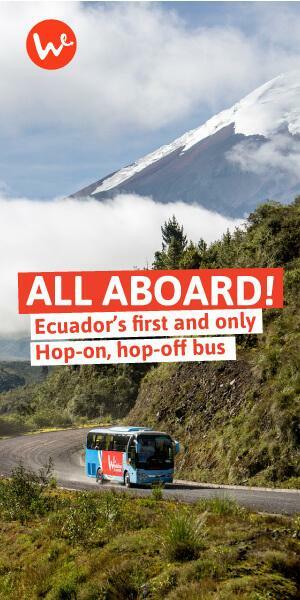 Public transportation and bus travel in cities and between provinces is extremely cheap in Ecuador. For an hour of transit time, expect to pay around $1 or $2. The downside to using public transport is that schedules are rarely followed and you have to go to the bus terminal in person to purchase your tickets. Also, safety can be an issue. 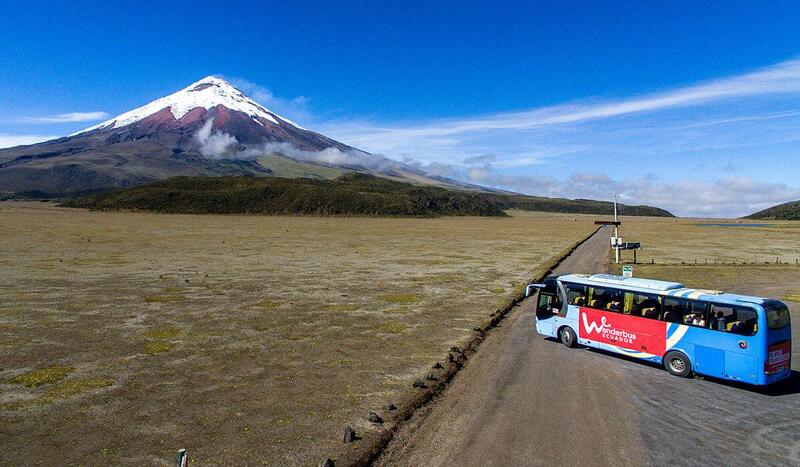 For a safer and more convenient ravel experience, consider jumping on the Wanderbus, which will take you to all of Ecuador’s top destinations for very reasonable prices. When getting around Quito, the Ecovia, the Trole and the Metrobus are easy and cheap forms of transport, costing only $0.25 per ride. However, keep an eye on your belongings, especially when it’s rush hour. Taxis are also relatively cheap, though there’s a greater chance of getting ripped off and security can also be an issue if you don’t find a safe taxi. Read more about safety tips here. By law, all taxis should turn on their taxímetro, or taxi meter. However, many taxi drivers will say it’s out of service or simply don’t turn them on. In that case, make sure you have already established a price before the taxi gets moving or simply get out and find another taxi. Past 9:00 pm, most taxis won’t turn on their taximetro and will charge more. The later it gets, the more they’ll charge! A much safer and budget-friendly alternative is to download Uber of Cabify and order your rides through there since prices are fixed. Regardless of the length of the journey, you must pay $1.40, which is the minimum fee. There are a few exceptions to the taxímetro rule, including the trip from Quito’s international airport to the city, which should cost $25-$30 one way, regardless of the time of day. It should only cost more than $25 if you’re going farther up north or south in the city. 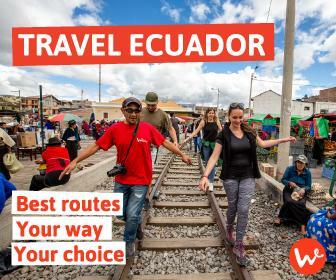 For more tips about getting round Ecuador, read this blog. International travel. If you’re planning to leave Ecuador by land, you’ll find bus tickets to Perú and Colombia for around $40, possibly cheaper if you’re going to Peru and are already in Guayaquil. Air travel within Ecuador on domestic flights is relatively cheap, depending on the season. Between major cities, a ticket might cost you around $70-80, round trip. Tickets to the Galapagos Islands are more expensive and may cost upwards of $200, round trip. As with air travel in other parts of the world, the further you book ahead, the better the price of the flight. Not to sound like a broken record, but activities are cheap here too. Obviously, if you’re intent on trying activities that require specialized equipment, like skydiving, paragliding, scuba diving etc, expect to pay more than usual. In the cities, museums are often very cheap of free, and there are a number of other activities, such visits to the Botanical Garden, that won’t surpass $4 per adult. Outside of town, other activities such as horseback riding, river rafting and ziplining will cost around $10-20 the hour. Looking for cheap things to do in Quito? 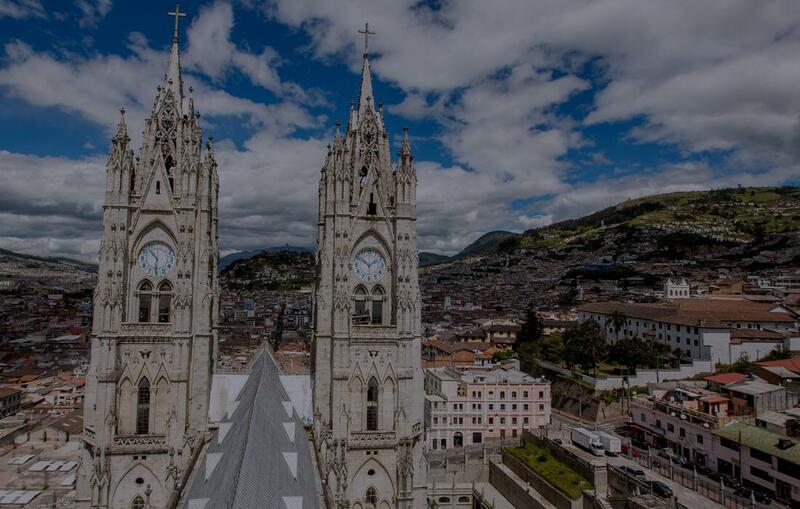 Check out our Quito on a budget guide. Hopefully the above info on prices in Ecuador will help you budget for your journey! The key is to think, and act, like a local. To put budgets into a local context, the minimum wage in Ecuador is currently $380 per month, and many people don’t earn that minimum. So, with a local’s mindset and with the tips above, there’s no doubt you can live and travel very economically here. Take public transportation, eat at regular restaurants for breakfast and lunch and haggle when you can. Do you have specific questions about prices in Ecuador? We’re happy to provide more information, just leave your question in the comments section below. To state that one can live in Ecuador on $400. a month is erroneous. The minimum wage is below that but most everyone has a large family, a family home and therefore a support structure with that low wage. Also, the general vibe is one of opportunity to “gringo” you, so be vigilant, but generous, especially with true artisans. Thanks for taking the time to comment on our blog about prices in Ecuador. We have adjusted the sentence at the end of the blog with the minimum wage yardstick to better reflect how this can be used as an insight for visitors’ budgets. You mentioned “true artisans” in your comment. Would you like to tell us more about them? We’re working on a blog post about the amazing crafts here in Ecuador and would be grateful for any contributions.